Max Irons made appearances in New York City in March 2015, to promote his films Woman in Gold and The Riot Club. On March 26, Max was on NBC’s Today Show. On Monday, March 30, Max appeared on Good Day New York and New York Live. 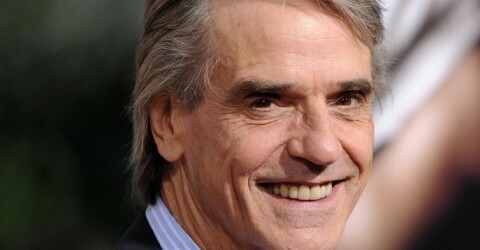 In a press conference held on March 20th, during the final days of the 11th Edition of the Lucca Film Festival, Oscar winning actor Jeremy Irons announced the beginning of production of his upcoming film, “The Correspondence,” directed by Giuseppe Tornatore, Academy Award winner in 1989 for the film Cinema Paradiso. Tornatore’s new film The Correspondence begins today March 30th on San Giulio Island in Italy’s Piedmont region; the film is also scheduled to be shot in Trentino Alto Adige, Scotland and England. The film stars Oscar winning actor Jeremy Irons who plays the role of an astrophysics professor. The plot focuses on Irons’ relationship with his student, Amy (Olga Kurylenko) . Her character is also a stunt woman for television and cinema whose action scenes always end with the death of her fictional character, a choice imposed by her attempt to sublimate strong guilt-feelings. It will be the relationship with her professor, Jeremy Irons’ character, which will help her find her lost existential balance. For The Correspondence, Tornatore will reunite with award-winning composer Ennio Morricone to create the soundtrack of the film. Jeremy Irons has worked in another film scored by Ennio Morricone, The Mission, in which he co-starred with Robert De Niro. The movie is produced by Paco Cinematografica and Rai Cinema, with the support of Business Location Sudtirol Alto Adige, Trentino Film Commission, Turin and Piedmont Film Commission end the Italian Ministry of Cultural Heritage and Activities. – Ben Wheatley’s “High-Rise” (2015), in which Irons will play the role of Anthony Royal, an architect. – Matt Brown’s “The Man Who Knew Infinity” (2015), in which Irons will play the role of the English mathematician G.H. Hardy. – Zack Snyder’s “Batman v Superman: Dawn of Justice”, scheduled to be released iMarch 25, 2016, in which Irons will play the role of Alfred Pennyworth. – Stephen Hopkins’ “Race” (2016), in which Irons will play the role of Avery Brundage, leader of the American contingent of athletes and officials during the 1936 Summer Olympic Games, who then became the 5th President of the International Olympic Committee. Fabiola Boeretto, owner of the Ristorante San Giulio, shows how the walls of the restaurant have been transformed to make it look as though it’s in Portugal. Venus Ristoranta – Orta San Giulio. 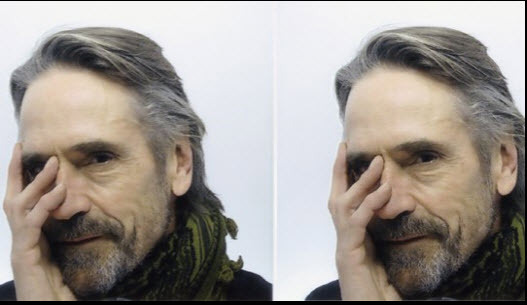 Jeremy Irons will be the recipient of a Lifetime Achievement Award, at the 2015 Lucca Film Festival in Italy, on 20 March. The 2015 festival is also celebrating the films of David Cronenberg. There will be a screening of Dead Ringers, starring Jeremy Irons, on Thursday 19 March, at 18:15. On Friday 20 March, Jeremy will be presented with the Lifetime Achievement award at 21:30. A screening of M. Butterfly will follow the award presentation. On Saturday 21 March, Jeremy will give a lecture at 11:00 and at 15:00 Sinead Cusack will be on hand to introduce a screening of her film Eastern Promises, directed by David Cronenberg. For more information on the festival and to purchase tickets, visit their website.